While I'm new here to this site, I definitely am not new to the world of systemic candida. I'm almost certain I've been plagued with this awful imbalance and infection for about ten years and thought I had cured myself only to find that I hadn't in the least. I just convinced myself I was healthy. But on to the context of the question. I used to be a toothpick. When I first became ill, it was my senior year of high school and I was rail thin, ate absolute junk, and played soccer about 3 hrs a day. I was, for all intents and purposes, an athlete. But after rounds of antibiotics for chronic sinus infections, a year of mononucleosis, and continuing to finish school and still play soccer, I completely racked my body. I struggled through junior college which I never finished and blindly stumbled through different alternative websites and holistic approaches to my chronic and never-ending ailments (because the docs were clueless). I did, indeed, help some of my issues but most certainly did not completely fix my obvious issues with systemic candida. It wasn't until I hit about 23 did I really notice my body just absolutely pack on the pounds. I was no longer training to be any kind of athlete and while I ate better, I still ate a lot. I kind of just associated the two and thought I was doing it to myself. I went from a 5'10', 130lb female to topping the scale at 169. Now I know that doesn't sound terrible for somebody my height but for someone who was naturally thin to suddenly gain that much weight in a very short amount of time... let's just say I have stretch marks to share with the neighborhood. Nowadays, I understand how candida works and those strong cravings to eat were really just those little, nasty candida albicans. I think it's safe to say at 28, I now have a far better grasp on all of this information and feel as though I can really kick this issue if I stick this plan out and not lose hope. However, to just sit back and say that I'm supposed to be the weight that I am because I'm "not a teenager anymore" just doesn't sit well with me. I look puffy. I'm definitely not 169 anymore. And though I refuse to step on the scale and check I would say I'm around 145-148. But I look puffy. I would be more than happy if this was all curve or muscle or whatever but it almost has no shape. Just puff. And I workout. I am a hot yoga enthusiast and I'm just getting back into sprinting and running. I also own an infrared sauna. I SWEAT and I burn LOTS of calories but the weight just sticks. Especially on my legs... the legs that used to resemble that of a chicken. muscle. So what is all this puff? Can I assume it's water retention? And is there a way to help relieve my body of all this? I'm pretty sure it's keeping me from burning fat. I am following the protocol as much to a T as I can with my own bits of experience thrown in. I was diagnosed with hypothyroidism and hormonal imbalance and thought that might be contributing but I am treating both of those issues and I know they are closely related to systemic candida so I'm waiting patiently for the process to take it's course. But honestly, I just hate this. My calves, ankles, and feet sometimes tingle from the pressure. And they're so unattractive and don't fit into clothes and shoes. Could this possibly be my kidneys? I drink tons of water with lemon juice and Apple Cider Vinegar added and a pinch of sea salt. Help please!!! Any suggestions would be greatly appreciated. Side-note: I apologize if this sounds vain or self-serving but you all who know what it's like to suffer with not only weight gain but very poor health and depression, it's this never-ending cycle that could just about kill a person. The quality of life is horrendous and everyone thinks you're crazy. It's definitely hard to stay sane. Thanks for having this website and using it to spread truth and help to those in need. I can honestly say it's you and people alike who God used to save me and though I'm not healthy just yet, I know I will be. Thank you for sharing your story. I'm sure you know you are not alone and that there are others going through similar struggles. Candida can be a tough foe to beat. Once conditions are right for it to take hold, it is incredibly tenacious. You mention going though a protocol. Which one is that? Have you ever tried any kind of natural body detox programs? Since you've had systemic candida for so long, you can be sure you've got lots of toxins built up inside you. Often times that results in fat and fluid retention because your body is trying to store these toxins away from vital organs. If you can afford it, I always recommend the three month program of Colonix and ToxinOut by DrNatura (details on my best body detox page). That has helped many of my visitors get their bodies back on track from rampant candida overgrowth. I'm glad to see that you are using an infrared sauna. I absolutely LOVE mine. Have you considered adding a rebounder to your routine? Bouncing on one is the best way to move lymphatic fluid around. You might also consider getting a vitamin D test. Low vitamin D levels can result in excess fluid retention and difficulty building muscle. Actually, LOTS of things can cause fluid retention, unfortunately. Keep going through my site for more recommendations. 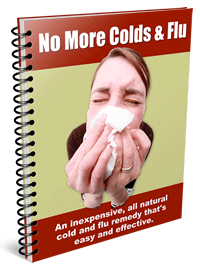 First and foremost, you'll have to get rid of that excess candida. I am not a doctor, just a researcher. My suggestion is to make an amino acid serum or amino plasma test ( they are the same). however this is one the most important tests in my opinion. a) Cooperate with a good doctor to help you deal with the defficiencies. b) Cooperate with a good doctor to find the cause of the defficiency. Perhaps your body can not break down proteins into amino acids, thus you have to find the cause. Also check your magnesium and vitamin d.
Some candida herbs that may be helpful are garlic, oregano oil, capryllic acid. A strategy you can follow is, to start from the easy problems you can solve, then proceed with the more difficult problems. Look for food sensitivities and especially see how you feel after you eat a specific food. In this way, you can make a list of good foods amd bad foods. In few words start to know your body needs and requirements. Thanks so much for swift response! My protocol is a proper yeast-killing diet, 3 tbsp of organic extra virgin coconut oil, and a product called Syclovir (recommended by a friend and actually seems to be working). I also feed my hypothyroidism with Lugol's iodine 5%/ 4 drops twice a day and apparently it has yeast killing properties as well. My day-to-day routine is spiking every 16 oz of alkaline water (about 80-96 oz a day depending on physically activity/sauna) with a pinch of sea salt and 1/4 tsp of both Apple Cider Vinegar and fresh lemon juice. My supplement intake includes Carlson Super 2 daily, vitamin D (4000 IU), Maqui Berry powder (vitamin C), MACA powder, bee propolis powder (allergy fighter), CALM (calcium/magnesium fizz), l-glutamine powder, ubiquinol, astaxanthin, and Bone-up. What I really and desperately need to add back into my diet is a really good digestive aid, prebiotics, and probiotics. Cleansing and detoxing are not new to me. I have probably done at least 5 colon cleanses, 2 of which were the Dr. Schulze brand and worked the best for me. I have also done some heavy duty liver cleansing (grapefruit juice/ olive oil). Somehow I never managed to do a proper kidney cleanse though. I'm not sure if I need to. Any thoughts on that? One thing I do whenever I feel a die-off headache coming on is a coffee enema. Cleans my blood and gives me a boost. I actually have a rebounder but I can't honestly say I love it. I have had neck and back issues since high school and my neck actually had a reverse curve (still might) and every time I jumped on the rebounder, no matter how gentle, it always gave me a terrible headache. Currently, frequenting hot yoga has really begun to strengthen my neck and back and I sleep with a very slightly rolled towel just to give me a slight curve. I'll eventually give the rebounder another try. I just recently tested my pH and it looks as though I am in the correct range however, the strips I have are quite old. Can they go bad? Should I purchase some new ones? I did test them with other alkaline and acidic liquids and the results were all different but in the correct range so I'm thinking they're ok? Really, I am now concerned with my absorption of all the supplements and foods I consume. It's disconcerting to find out that hypothyroidism and systemic candida completely mess with absorption and uptake. Am I wrong to think that way? Unfortunately, I don't have medical insurance so getting tested for anything is not an option. And yes, my infrared sauna is my best friend. Quite possibly the best purchase of all time.